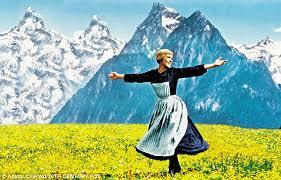 The iconic opening of The Sound of Music begins with Julie Andrews twirling through the alpine meadows. Her hair and voice like sunshine, the snow-capped cragged mountain sides looming in the background. The range which towers above her extends west through Northern Italy’s Alto Adige so it wasn’t surprising when I was transported to this scene when tasting Peter Zemmer’s Pinot Grigio. The Peter Zemmer winery was founded in 1928 in Cortina, Italy. The grapes flourish in the valley, the ventilation and sunlight create the right environment. The grower’s choice to use sustainable farming and organic fertilizer allows the grapes to flourish. Selective sorting through the low yield ensures the best quality wines. Pale pear green, incredibly fragrant with notes of unripened pear and candied citrus zest. Crisp and zesty with pear, melon, citrus. Sunshine in a bottle, newly fallen snow, and alpine lilies in the finish. This is a beautiful wine. I enjoyed every sip of this wine. 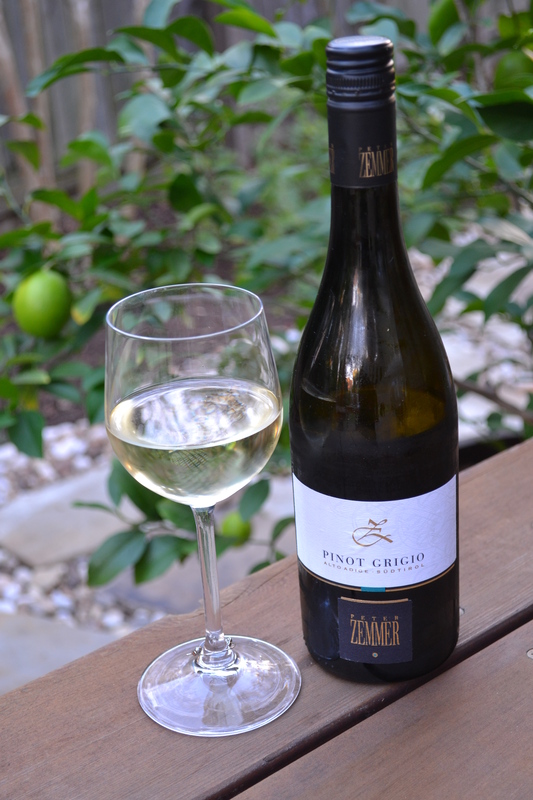 Priced at about $16, it is one of the best Pinot Grigios I have had and an excellent value. Back in 2007, we ventured just over the border into Austria, weaving above the lakes and through the Alpine towns. Leaving, we flew north over the majestic mountains. From above you get a sense of scale that is unmatched from below. It was the last we saw of the beautiful country and it left a lasting impression. When we return, we will be sure to spend more time in Alto Adige, but for now, we can open a bottle of Peter Zemmer and remember. Very nice work, Alissa – love the description of the wine. I also like the new blog design theme, nice and clean! Thank you! A stunning place, is it not? Why was your favorite stop? Or some of your favorites? We went from Lake Como up through the most amazing mountain pass I have ever encountered, ending at St. Moritz. Earlier on that trip we had toured the Pinot Grigio vineyards on the steep hillsides of Cinque Terra, which were so different from the gently rolling hills of the vineyards, here, in California. Fascinating. Loved Cinque Terre and Lake Como. Enjoyed Alba and Chianti, Amalfi on a previous trip. It is all wonderful! Peter Zemmer take me away! One of my favorite movies of all time. Thank you for a moment of escape! Wonderful, isn’t it? It is that time of year again. Whatever it is, she would drink it from her Vivajennz! Perhaps a guitar case version? If most Pinot Grigio were of similar quality to those from Alto Adige, I would have a much different opinion on the varietal in general…. Totally agree! I was very surprised by this gem.